Please note as of Friday 14th December 2018, your new NLD Office Administrator will be Katherine Wells. Katherine worked as a local newspaper Editor in Scotland before moving with her family to Lincolnshire last year, and is looking forward to working with NLD RFU clubs, volunteers and professionals. She is working alongside Luke until Friday 14th December and will continue to cover Nicole’s maternity leave until October 2019. Luke leaves us to start a new Sports Development Officer role with Leicestershire and Rutland Sport, the county sports partnership for Leicestershire. Luke would like to thank all the NLD Officers and club volunteers for their support during his time in the role and wishes you all the very best for the remainder of this season and for all future ones to come. This year’s player nomination process has open for the NLD U20’s Squad. Further information can be found on how to nominate players by clicking here. Use the player nomination form to confirm your interest in representing NLD U20’s. If you are a coach, please use the coach’s nomination form by clicking here. Should you have any further questions, please do not hesitate to contact Graeme Gunn, NLD U20’s Team Manager via email: [email protected] or by calling him on 07779596929. Entries for the 2019 NLD U13 Festival are now invited. As per the RFU Age Grade Competition Guidelines, the festival will be in a friendly round robin format, medals will be presented to all of the players taking part. The closing dates for entries is Monday 14th January 2019. Please note that entries will not be accepted after this date and in the case of withdrawals clubs will not be reimbursed if the closing date has passed. If you are entering multiple teams then the second team will be placed on a waitlist until the closing date. On this date we will then accept as many second team entries as possible on a first come first served basis. On a cold Wednesday evening on the 21st November NLD Vets played Staffordshire Vets at Ilkeston RFC. NLD’s victory came in a game played in good spirits, with both showing some great attacking flair in addition to trying to exert their physical prowess upon one another. 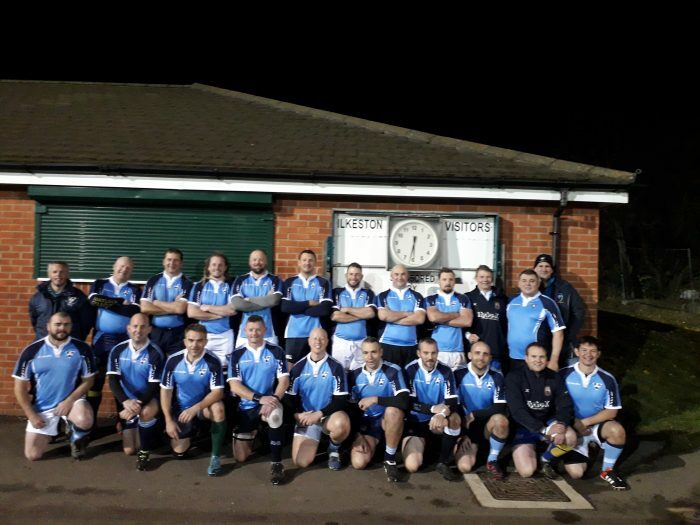 NLD tries came from Skipper Tim Pritchard, Man of The Match Antony Williams, Alan White, Matt Upton, Mick Tassel, Chris Kirkwood & Karl Ward with a brace. Fly Half Will Moroney, who had a quality game, slotted 3 conversions. Staffordshire scored 3 cracking tries and 3 conversions. We would like to thanks all those who submitted tender applications for this seasons events. Without the support of the clubs and schools in NLD, hosting these finals/ festivals events would not be possible. Weather permitting, Tracy and Mike will be doing drinks in Cardinal Vaughan car park at Twickenham this Saturday from 12:45 – 2:15pm. They’ll be parked just over the bridge near to the front row of cars so hopefully you should see them but feel free to call either of them if you want to check whether they’re there or not and where they are if you can’t find them!